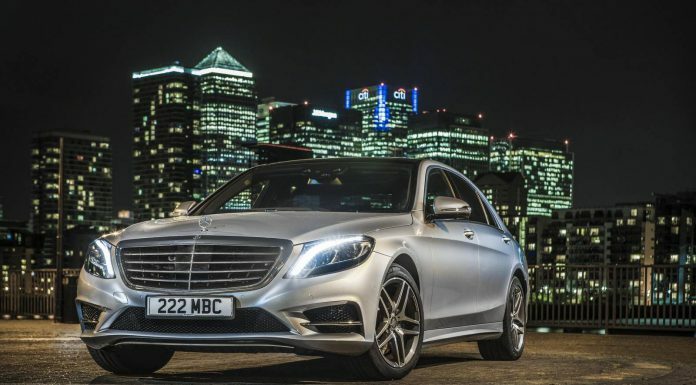 The new Mercedes-Benz S 500 Plug-in Hybrid was engineered to combine fuel efficient, low emission motoring of the future with the comfort, safety and performance of the Mercedes S-Class. “Sacrifice is no part of the concept” as Mercedes-Benz stated at its Copenhagen press presentation. 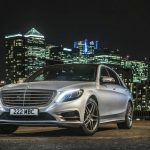 In addition to the incredible level of technology incorporated in the original Mercedes S-Class as we already know it, the S 500 Plug-in Hybrid is packed with intelligent electronics to get the most out of every drop of petrol and its build in high voltage battery, while maintaining the driving experience that buyers expect of a Mercedes S 500. 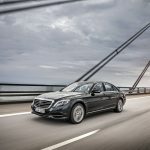 Last year, we announced the new Mercedes S-Class as the most important new car release of the year: “Known to set a benchmark for decades, the S-Class always comes packed with innovations and new systems that stir up the entire industry.” To see if the new S 500 Plug-in Hybrid lives up to these expectations and sets the bar for the future of (almost) emission-free driving, we flew out to Copenhagen for a two day look into the future of the automotive industry from within the Mercedes S-Class. A lot has changed since Mercedes-Benz’ first 1982 concept vehicle with hybrid drive. 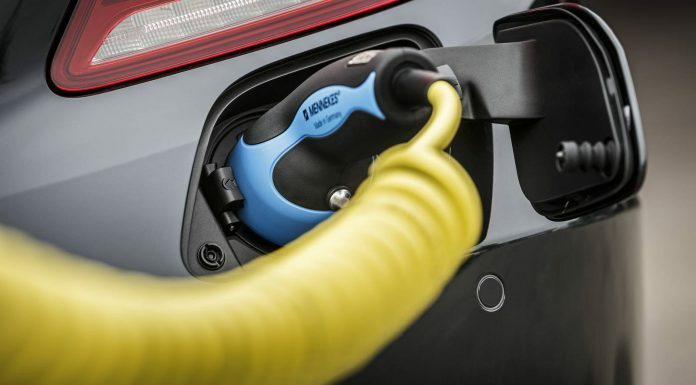 After building quite a reputation with for example the the 2009 S 400 Hybrid, for a long time the world’s most fuel-efficient petrol powered luxury saloon and the SLS AMG Electric Drive with its 1,000 NM torque and not to forget the Smart Electric Drive cars powering the car2go car sharing concept. With its recent launch in Copenhagen, car2go is now operating in 30 cities with electrified driving available depending on your location. 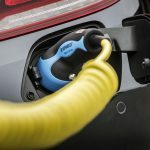 Within the company’s five to ten year vision, “drive strategy” and electrification in particular is the field which will decide which automakers will play a leading role in the future. 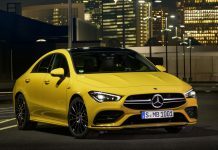 Mercedes-Benz wouldn’t be Mercedes-Benz not aiming to be as far ahead of its competitors as possible. 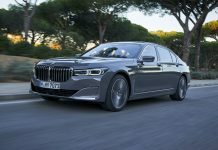 Time to see how all technological know-how and experience from Stuttgart has been incorporated into Mercedes-Benz’ flagship luxury saloon model. Together, the Mercedes-Benz S 500 Plugin Hybrid’s V6 biturbo engine combined with the intelligent hybrid drive system offer a total system output comparable to that of the V8 internal combustion engine S 500 that we have reviewed earlier in Torronto. Similar to the S 500/550 with the 4.7 litre V8 internal combustion engine, the US and Canada Plugin Hybrid will also get a rebranded version named the Mercedes-Benz S 550 Plug-in Hybrid. 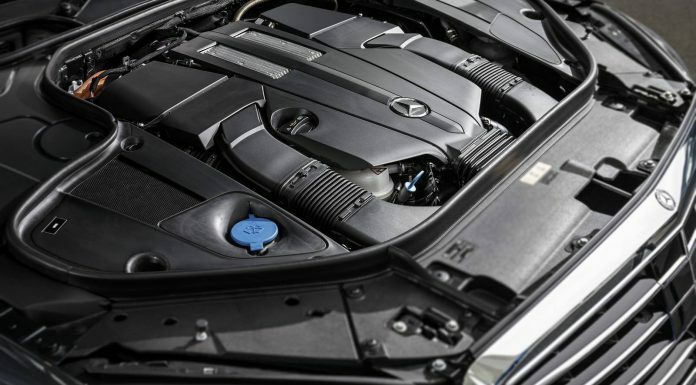 The S 500 Plug-in Hybrid’s 3 litre V6 engine with 333hp and 480Nm torque operates in magnificently smooth cooperation with the 85 kw electric motor with a torque figure of 340Nm. 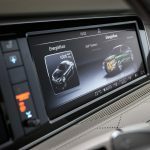 Together they have total system output of 442hp and 650Nm, being applied depening on the driving mode selected by the driver with a button on the middle console. The combination of internal combustion engine and electric drive, helps cut overall fuel consumption and boost performance, since the electric drive replaces or supports the combustion engine whenever the V6 characteristics are unfavorable. 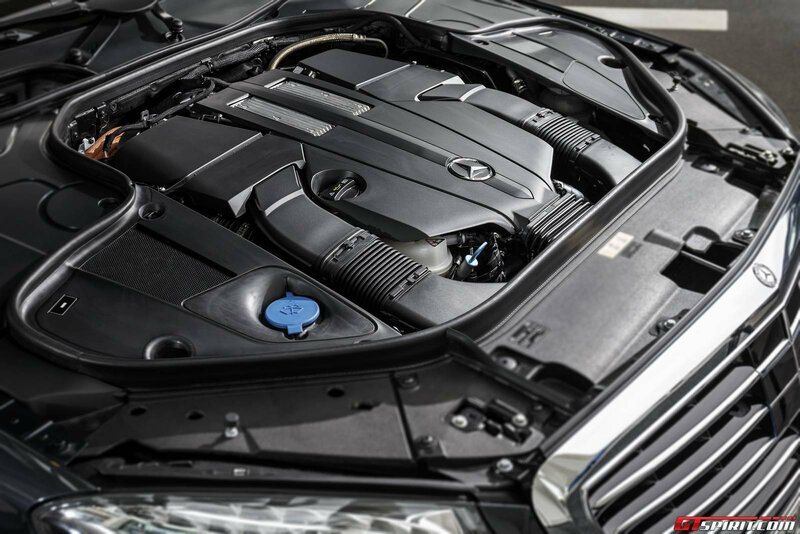 Typically the biturbo V6 engine generates less power in the lower range. 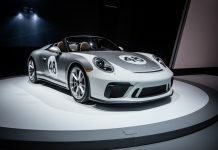 A substantial performance increase is realized here thanks to the electric motor both in measurable performance as in driving experience. This can be conveniently experienced/tested when selecting the driving mode E-SAVE or CHARGE where the electric motor is switched off by the system. 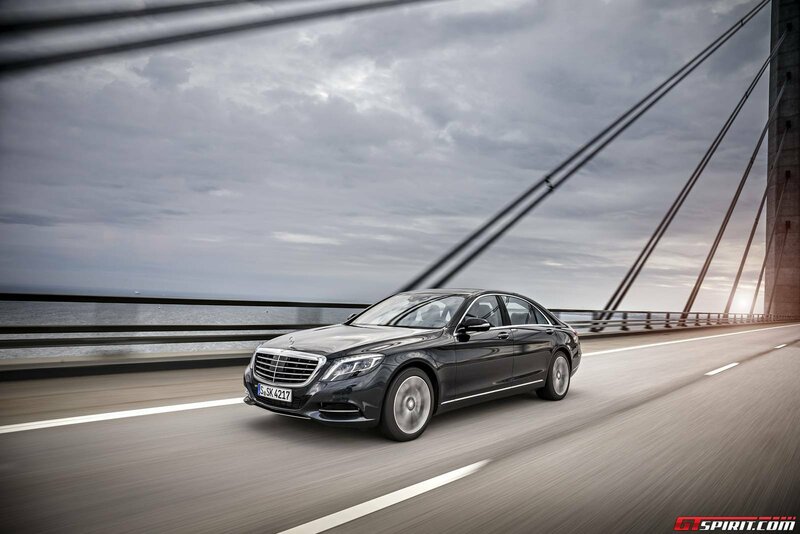 Thanks to a (combined) consumption of 2.8 l / 100 km and a CO2 emission of 65 grams per km, the S 500 Plugin Hybrid holds A+ Efficiency class Label. 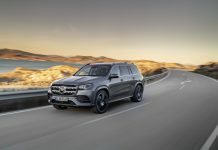 Coupled to the engine is a seven-speed automatic gearbox, whilst Mercedes’ 4-matic four-wheel drive system is not yet available for the Plug-in Hybrid. 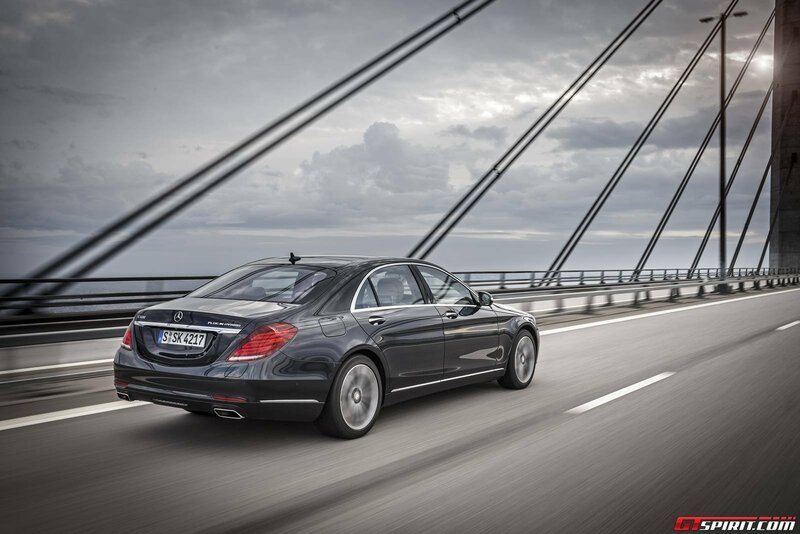 The electro-mechanical steering feels nice and direct as we have earlier experienced in the S 500 with the V8 engine. It is sensitive to the speed of travel, meaning that the faster you go, the more resistant it is to the feel. 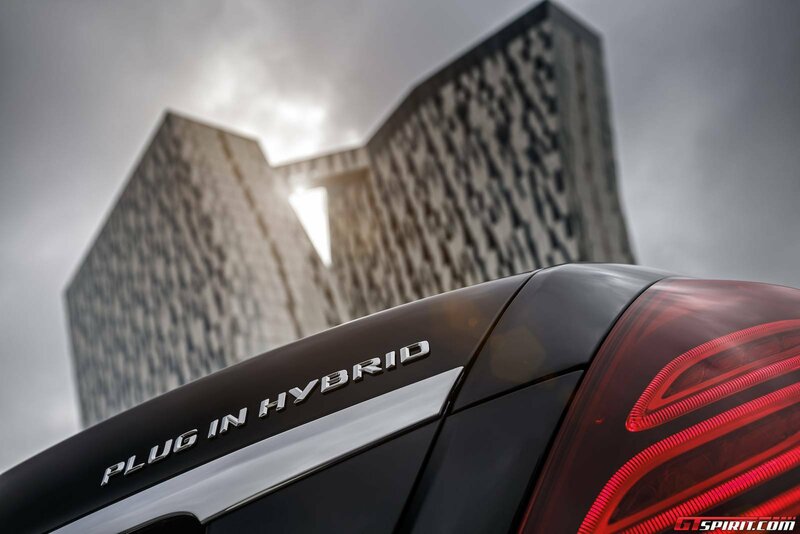 The electric motor of the Plug-in Hybrid has been further developed from the previous hybrid vehicles. Despite its compact design the electric motor delivers an output of up to 85 kW and torque of up to 340 Nm. The permanently excited synchronous motor is fully integrated into the hybrid transmission. Stator and rotor of the internal rotor motor are cooled by transmission oil. Thanks to this integration, as with all hybrid vehicles from Mercedes-Benz, the ultra efficient drive system is integrated in the overall vehicle in a way that creates no space restrictions. 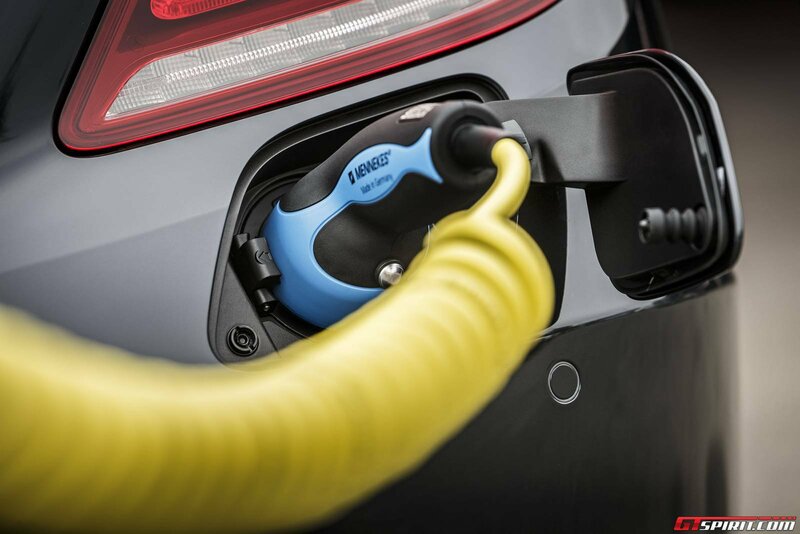 Major adjustments to the packaging of the overall vehicle are unnecessary – this is a big advantage for the production of hybrid vehicles. 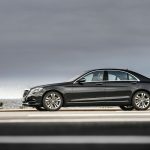 Even more important, thanks to this engineering approach combined with a number of intelligent electronic systems, Mercedes has managed to build its flagship S Class with the same comfort, safety and (almost) the same performance as the V8 version of the S 500, with the fuel consumption of a compact model while limiting the car’s weight increase to only a 200 kg compared to its own V8 model. For a car like the S500 Plugin Hybrid, currently only available in the long wheel version this is a very acceptable increase in weight. To review the S500 Plug-in Hybrid’s driving experience, we have taken the S-Class to the hybrid environment between Sweden and Denmark with a short drive within the the downtown area of Copenhagen and after crossing the famous 8 km Oresund bridge to Sweden, through the beautiful scenery of the Swedish coastal area around Malmö. Even though, with our driving style we might not have gotten the most out of every intelligent system designed by Mercedes-Benz to save petrol and/or battery, we have to state that the fuel consumption is astonishing low for a car of this size, level of luxury and performance. 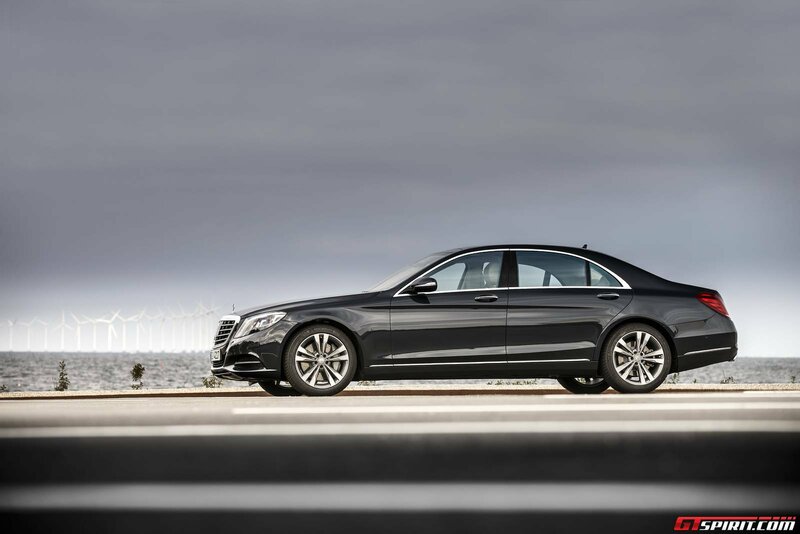 We did put most of our efforts into testing the S-Class’ innovative drive. Switching between different Drive modes, gear modes including fully electric driving both in downtown Copenhagen as on the Oresund Bridge is actually that much fun that it feels quite boring to get into a regular car next day. Fully electric, emission free driving in the midst of large numbers of lovely Danish young ladies on bicycles in the downtown area of Copenhagen is truly a joy. The same goes for electric driving using E-MODE on the highway. 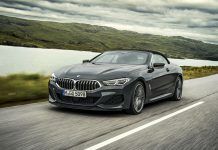 When your right foot asked for more power, the internal combustion engine got immediately started for a smooth transition to a more powerful acceleration, in an uninterupted cooperation with the electric motor, to provide performance comparable to the V8 in the other S 500. 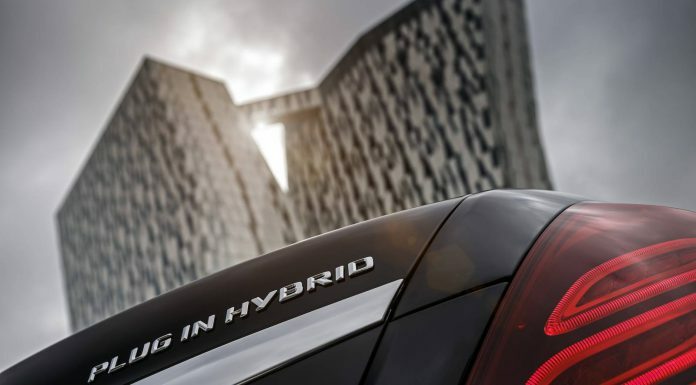 In Hybrid mode the S-Class’ internal combustion engine and the electric motor cooperate on a more permanent basis, constantly providing you the optimum performance and fuel efficiency level chosen by the Mercedes-Benz electronics. Especially when setting the gear box into the S mode you can actually feel the sensation of driving a V8. 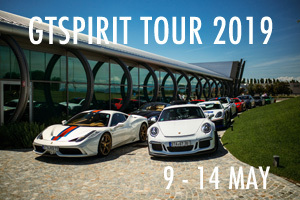 For a car lover or petrolhead, very little goes above the sound of a V8 engine. The fierceness, the brute force, the beautiful machinery you hear every time when pressing the pedal with your right foot cannot be beaten by anything outside of the bedroom. 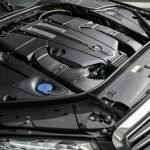 Perhaps not such a meaningful issue for the, often chauffeur driven, luxury saloon cars like the S-Class where customers often choose the V8 for its smooth operating, reserved power and distinguished driving characteristics as for a sportscar, we do have to mention that the lack of engine sound from electrified driving is a challenge for the motoring industry. 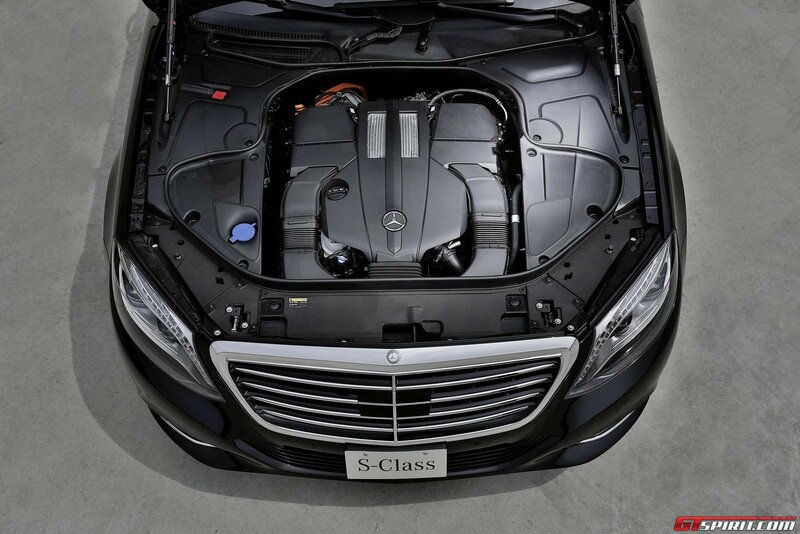 Nothing short of the S-Class V6, it doesn’t sound like a V8. 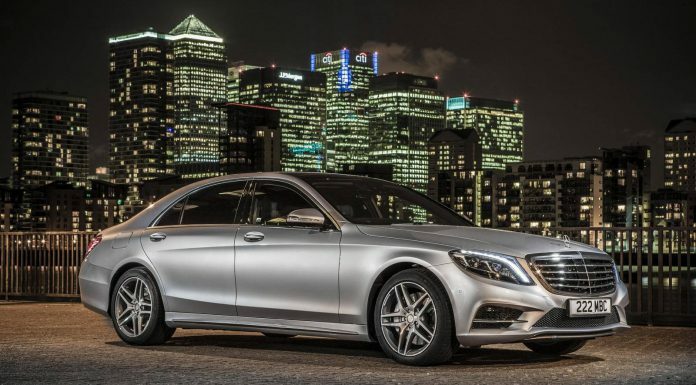 Mercedes-Benz engineers are, just like us no supporters of tape recordings of engine sounds. 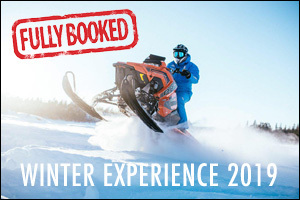 We are looking forward to how the industry is going to resolve this disappearance of engine sound in the upcoming transition to electrified driving. The driver can also choose to solely use the V6 engine to save battery capacity, or charge the battery with the E-SAVE and CHARGE modes. 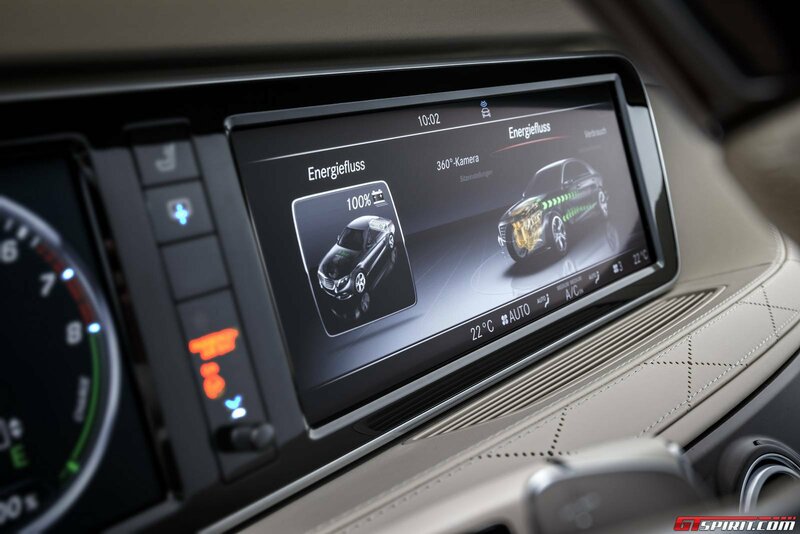 This can be beneficial while driving the highway expecting to arrive into a more densely populated area -a city- where you prefer to have a fully charged battery utilizing the S-Class’ specified emission free, electric driving range of 33 km. According to Mercedes-Benz, this specified range of 33 km is actually quite conservative. Mercedes-Benz test drivers and journalists were able to extend this range far above 40 km in a competitive ride with a very fuel -or should we say battery- efficient driving style. 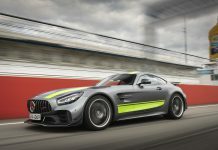 Not the kind of game we expect to get our readers into that often… but according to Mercedes-Benz this a thoroughly thought through optimum of electrified driving range and extra weight carried for additional battery capacity. We recommend to enjoy this exceptional wonder of technology to its fullest, driving it however you like driving a luxury saloon like this while still saving a serious quantity of fuel compared to driving a comparable luxury saloon with an internal combustion engine. 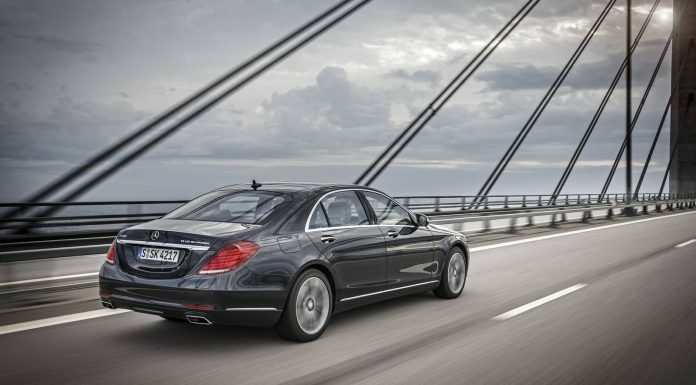 This does not mean that fuel efficiency and a joyful driving style cannot go along in the S-Class. 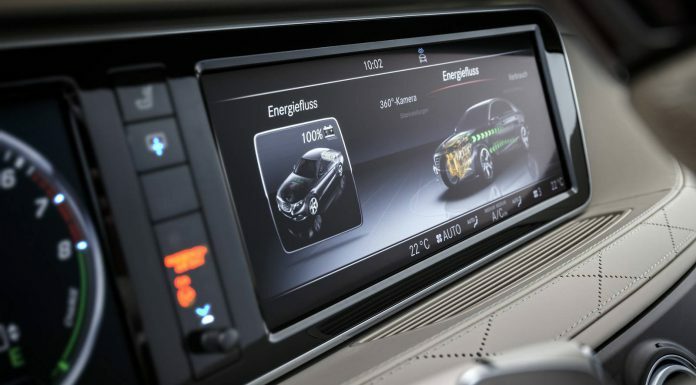 For example based on your satnav destination the car’s intelligent systems can automatically choose a driving strategy where the battery is charged ahead on the highway to have its full capacity available as soon as you arrive in a downtown area where fully electric driving would be preferable. 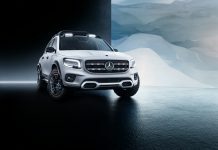 According to Mercedes-Benz, the same method is applied in uphill electric driving and downhill battery charging based on your GPS location, in an area with a little bit more mountains than in Denmark. 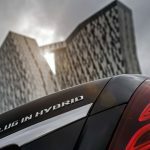 Systems as mentioned above differentiate the S 500 Plug-in-Hybrid from any previous hybrid concept we have seen before by not just adding a battery and an electric motor, but offering the driver well thought of intelligent systems to get the most out the battery’s capacity and out of every drop of fuel without any compromise in the driving experience. 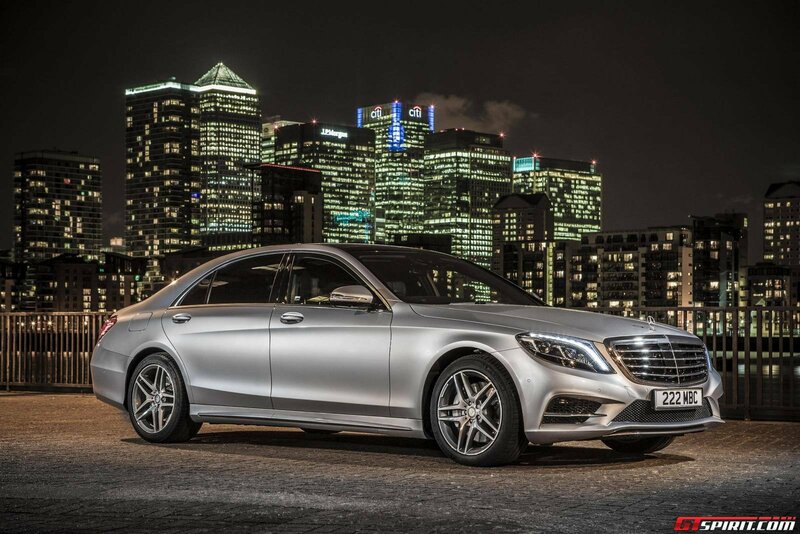 Mercedes-Benz has really created an incredibly fuel efficient luxury saloon without any serious compromise to the original S 500. 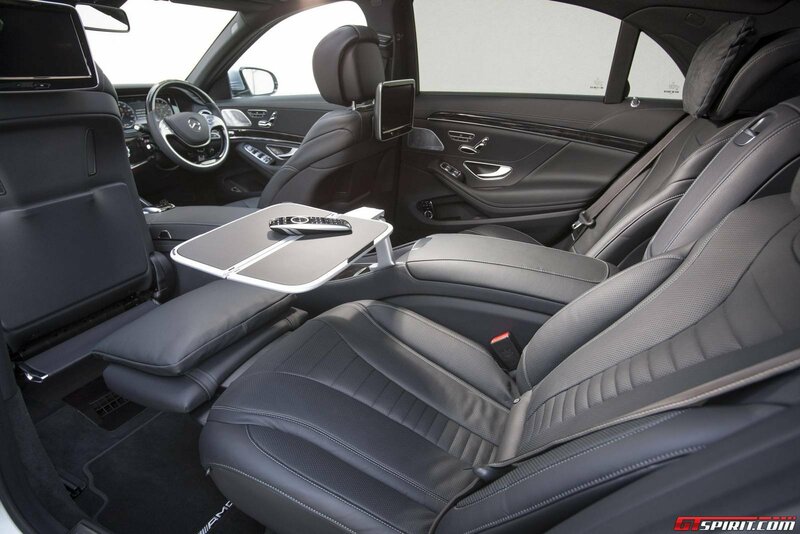 We are still as enthusiastic about the S-Class’ design, the luxurious interior, innovative technology and the level of comfort this cars offers to its passengers. 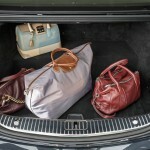 For this kind of car chauffeur based driving is almost equally important as the driver’s experience. 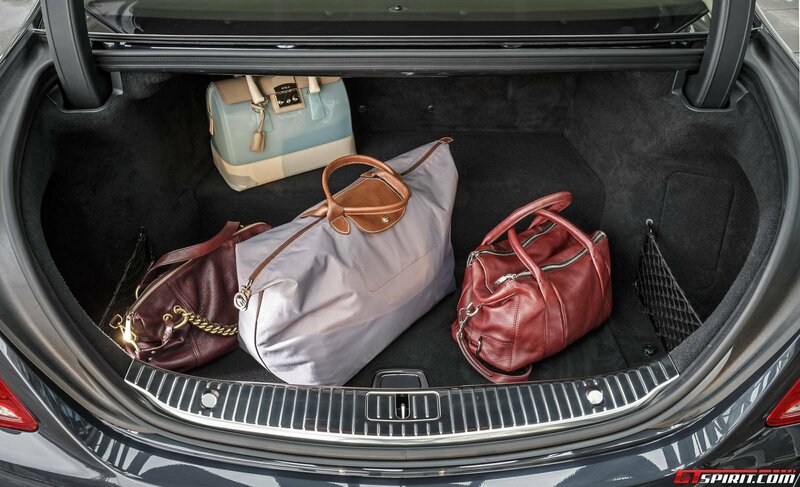 We mention the two i-Pad sized led screens and the spacious, comfortable both heated and airconditioned leather seats in the back of the S-Class. 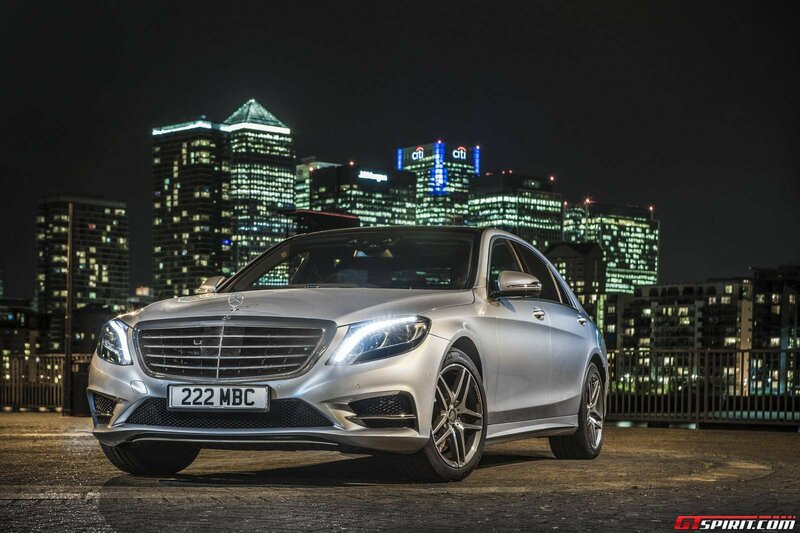 Please read our review of the original S 500 for all the superlatives regarding the interior, level of comfort and technology offered by this car. 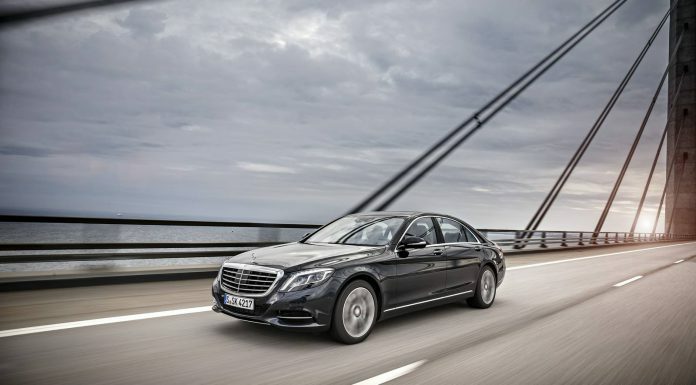 If we have to make one remark it would be great to see 4matic and Magic Body Control available on the S 500 Plug-in-Hybrid as well, because both would make the S500 Plug-in Hybrid even more versatile!